Divorce commonly arouses strong emotions that can provoke uncharacteristic behavior as an individual tries to cope with the end of his/her marriage. These momentary lapses in judgment are usually fleeting, and typically have no discernible impact on the outcome of the divorce. However, in situations where a spouse’s mental capacity is questionable or compromised, the dissolution of the marriage becomes much more complicated. One of the hallmarks of the American legal system is the expectation that a party in a legal case is capable of participating in the proceedings. While this idea is generally associated with criminal cases, Florida law gives special protections to a party in a divorce determined to be legally incapacitated by requiring he/she be represented in court by a blood relative or guardian. However, the circumstances become more convoluted if a court has not legally found a person to be incapacitated, and/or the person’s spouse is currently serving as the guardian. As recently reported in the Sun Sentinel, a very complex divorce case involving the former Broward County Clerk of Court and his wife, the current clerk, with the wife having been appointed as her husband’s temporary guardian after claiming he suffers from of early onset dementia. A discussion of the impact of mental incapacity on a divorce case, and when a court would consider appointing a temporary guardian to take over a person’s finances and/or personal well being, will follow below. 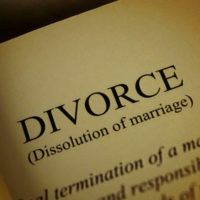 Generally speaking, Florida is a no-fault divorce state, meaning that the person filing for divorce need only claim irreconcilable differences as grounds for the dissolution without providing additional proof. However, Florida has a seldom-used second basis for obtaining a divorce based on the mental incapacity of a spouse due to the extended waiting period and ongoing financial obligations. In order to invoke this provision, the party with mental impairments must first be legally adjudicated as incapacitated, and then the other spouse must wait three years before initiating divorce proceedings. Further, a divorce granted on the basis of incapacity brings the likelihood that the non-incapacitated party will have to pay alimony to support the individual with mental impairments. When a person is determined to be mentally incapacitated by a court, a guardian is appointed to manage their affairs, and it is not uncommon for the guardian to be a spouse. When a divorce case is pending in such a situation, the court will appoint a guardian ad litem to represent the interests of the incapacitated individual. A problem emerges, though, when a divorce was initiated before a party’s mental status was called into question, and the three-year waiting period has not elapsed, which precludes a court from granting the divorce. Under these circumstances, if the spouse is granted guardianship powers, especially over financial matters, he/she would have broad authority to manage the incapacitated spouse’s money until removed. Complicated litigation is likely to follow, requiring services of an experienced family law and guardianship attorney. waste, misappropriation, or loss to the person’s property if immediate action is not taken. Guardianship proceedings have significant and long-term consequences, and should be done under the advice and guidance of an experienced attorney. Divorce is a trying time for all involved, and attempting to understand all the legal implications of this procedure by yourself can be overwhelming, as well as lead to mistaken conclusions. If a guardian is needed, the circumstances are all the more challenging. Let the knowledge and experience of Fort Lauderdale’s Joyce A. Julian, P.A. take this burden off your shoulders, and ensure your interests are properly protected. 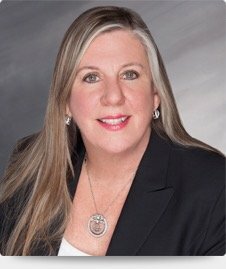 Joyce A. Julian regularly handles divorce and guardianship matters, and can advise you on how to proceed. Contact the office today to learn how her dedicated approach can help you.